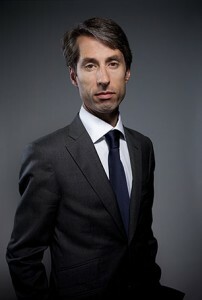 Emmanuel NEVIERE leads the firm which is specialized in employment law. He is a member of the Paris bar since 1996. He is involved in all areas of employment and social security law, in terms of both consultancy and litigation, with French and foreign companies, as well as company managers and executives. He is a well-known expert in the management of the labour law aspects of restructuring operations, as well as litigation relating to collective and individual risks. He began his career in the labour law department of the law firm Price Waterhouse Juridique et Fiscal, which became Landwell (1995-1997). Then he joined the labour law department of Lefèvre Pelletier & associés, where he worked for six years (1997-2002) before serving as a partner for seven years (2003-2009). At last he joined Quadrige, société d’avocats where he was the partner in charge of the labour law activity for four years (2010-2013). He holds a Diploma of Advanced Studies (DEA) in labour law, a master’s degree in business law and a diploma of the Institute of Judicial Studies (IEJ) from the University of Paris I Panthéon-Sorbonne. For more than 10 years he gave courses on ”Company restructurings and employment law” in the Master II “Law and Practice of Industrial Relations” at the University of Paris Sud (XI). He regularly leads training events and conferences, as well as publishing articles in specialist magazines. He is member of AVOSIAL (company lawyers in labour law), the French Association of Employment and Social Security Law (AFDT) and the French Chamber of Commerce and Industry (CFCI) – The Netherlands.